Lacing up the trainers and hitting the road is a way of finding sanctuary and relaxing in an all to erratically paced world that all runners can understand. Whether you’re in it for the post-run endorphin buzz, have a transcendent life experience just covering land at a clip to see what can be seen, or sweat it out to snag some post run suds Hash House Harrier style, we all know the escape that comes from a run. 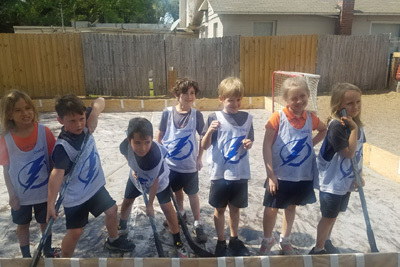 We’re not usually going anywhere in particular, we’re just running away from whatever is trying to bring us down – and we always get away! How would you like to REALLY run away from it all, though? 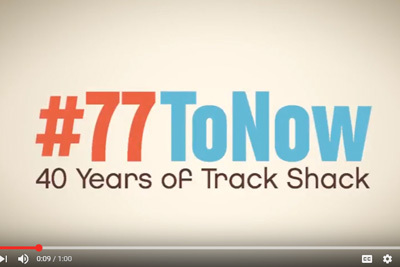 Well, that’s exactly what IOA Corporate 5k partners New Balance and JetBlue want you to do! In our newest contest we’re giving away the freshest of fresh New Balance shoes and a crisp pair of JetBlue tickets to one lucky winner to give them the Run Away Vacay they’ve always dreamed of! 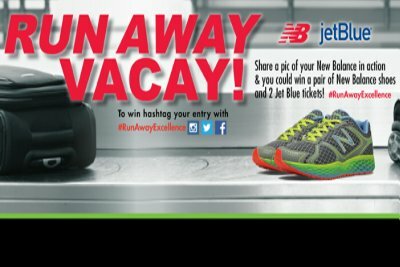 Enter by posting a picture of New Balance gear in action onto Facebook, Twitter, or Instagram with #RunAwayExcellence by April 19th and it could be you who wins the chance to really run away from it all from New Balance and Jetblue!